There was tension on Thursday in Obosi, Idemili North Local Government Area of Anambra State following the escape of three suspected armed robbers, wearing army uniform, from police cell. The suspects, whose names were given as Olisa Dominic, Friday Nwali and Nwanosike Isaac, were reportedly arrested by a vigilance group in the area known as Obosi Vanguard at Little Wood Estate, Obosi, while allegedly getting ready to strike. Southern City News gathered that the suspects escaped shortly after they were handed over to the police by the vigilance group. A source, who pleaded anonymity, said that the community was living in fear after the development. “We are living in fear and danger now. We can’t understand how some suspects arrested by our vigilantes would escape after they were duly handed over to the police. “Something is wrong somewhere. We no longer sleep with our eyes fully closed because anything can happen anytime. We don’t know who to trust again,” the source stated. Addressing newsmen, the president of the group, Mr Oluchukwu Anyaoku, said he got the information of the arrest while at work and had to send his deputy, Chimezie Ononwu, who took the suspects to the community town hall for transfer to Ogidi Police Area Command. 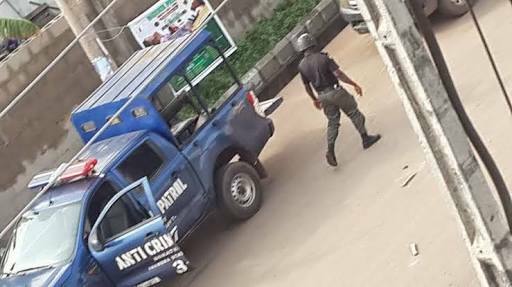 Reacting, the Anambra State Commissioner of Police, Mr Garba Umar, said he had directed immediate investigation into the matter.